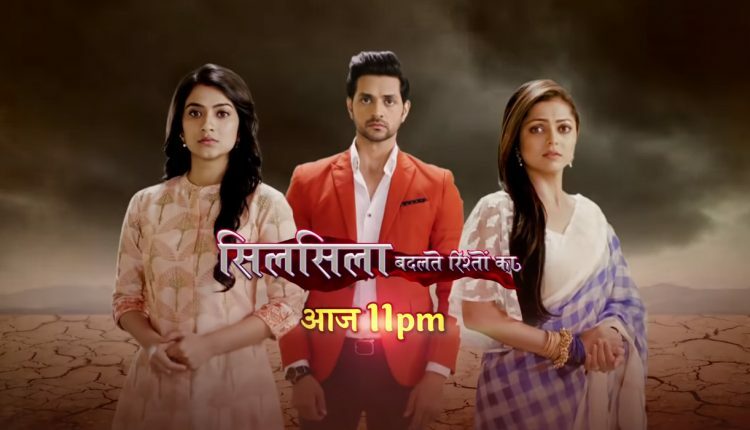 In the latest episode of Silsila Badalte Rishton Ka 8th November 2018 written episode update Kunal meets with Mishti. Today’s episode begins with Ishaan was busy playing with the girls. Mauli sees that the phone was ringing so she points at her phone but he said that he is busy right now with his princess. To see that the phone was continuously ringing he finally takes the call. Kunal shouts who is he? Ishaan replies to his question that why he is shouting so badly. Kunal was irritated that they took his daughter. He was concerned that how they could take his daughter if he is fine or did she eat something? Ishaan gives the phone to the Pari and told her to speak with her dad. After talking with his daughter Pari Kunal feels so relieved. Pari scolds to Kunal that his phone did not connect, is he was asleep? She cries aloud in the phone. She said that she fell so sad about this. Kunal apologizes to Pari and said that he was at a place where there was no network at all. He asks Pari to wipe out her tears now and gave the phone to the uncle who was standing with her. Ishaan takes the Pari to her father. In the restaurant, Mauli has a good time with the kids and Ishaan. She gets an urgent call from the hospital for an emergency case. She was concerned for the kids. Ishaan said that his hotel business is easy, but Mauli is a doctor and she has to look after many people. She should now leave. Pari asks that if Mauli would not meet with her father. Kunal had arrived just outside the restaurant. Mauli apologizes as it is important for her to go right now. Precap: Kunal consoles to Pari in front of the temple and said that their daughter is really brave. She says to him that she was really afraid in the camp, then Mishit’s mother took care of her. If her mother was alive, then she would have been like Mishti’s mom.